You can use the Support SDK for iOS and Android on every Support plan. However, the SDK has some limitations on certain plans. 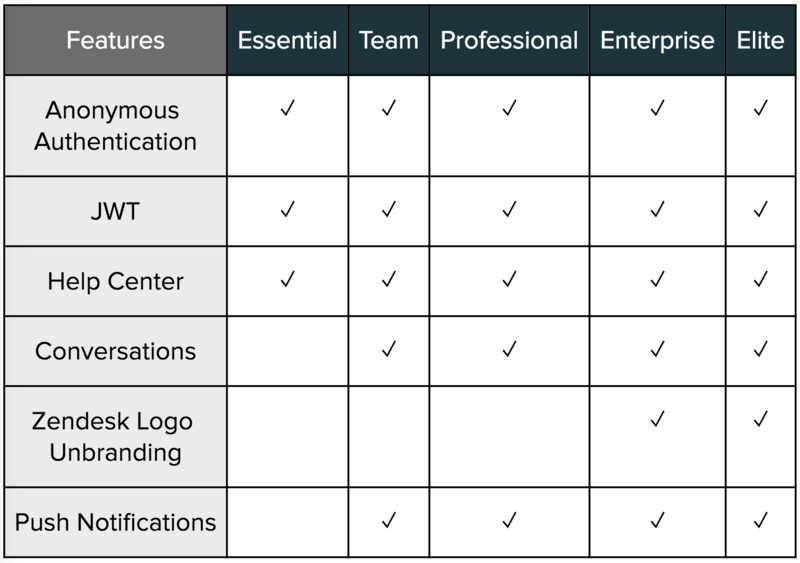 The following table outlines the features and limitations of the SDK by plan type. For a full breakdown of all features available on every Support plan, see Zendesk Support plans on zendesk.com.